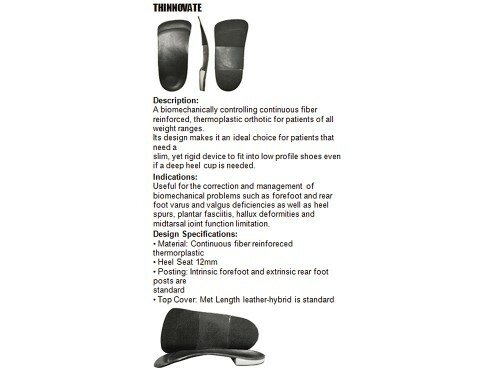 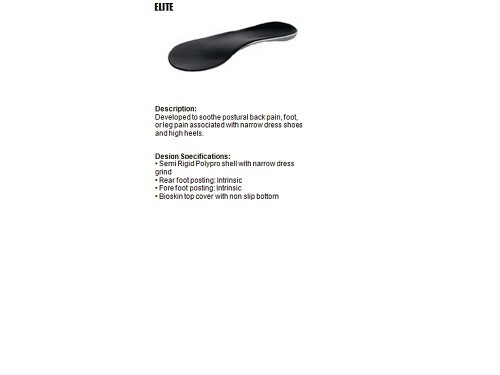 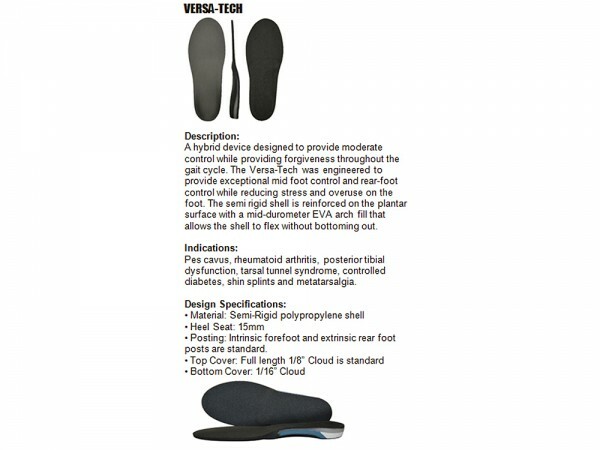 A hybrid device designed to provide moderate control while providing forgiveness throughout the gait cycle.The Versa-Tech was engineered to provide exceptional mid foot control and rear-foot control while reducing stress and overuse on the foot. The semi rigid shell is reinforced on the plantar surface with a mid-durometer EVA arch fill that allows the shell to flex without bottoming out. 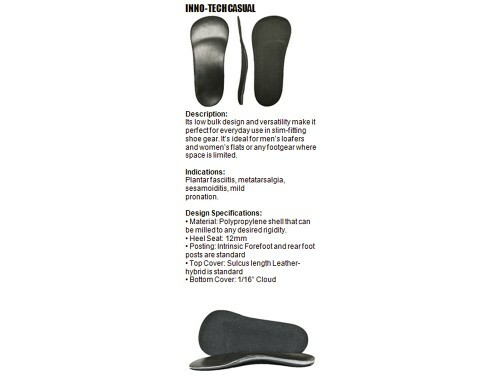 Pes cavus, rheumatoid arthritis, posterior tibial dysfunction, tarsal tunnel syndrome, controlled diabetes,shin splints and metatarsalgia. 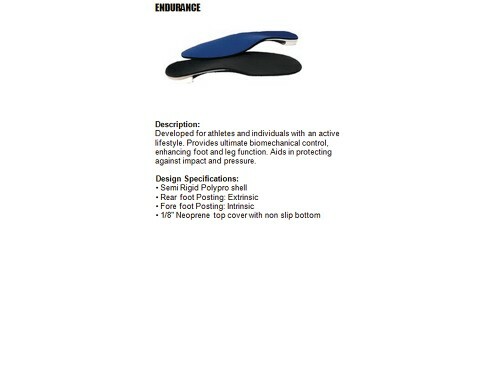 Posting: Intrinsic forefoot and extrinsic rear foot posts are standard.